For those of my readers who celebrate Easter or Passover, I wish you good holidays. Passover begins at sundown tonight, and today is Good Friday in the Christian calendar. 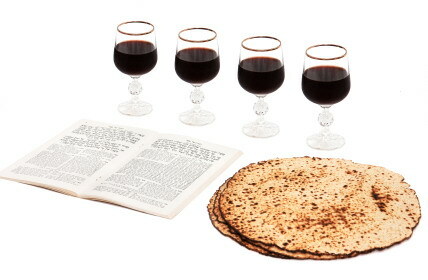 I remember Passover celebrations from when I was a kid quite fondly, it was my favorite holiday. I loved finding the hidden matzoh, I loved leaving the empty chair for Elijah and all of the food - oh my, the food was wonderful. The wine, on the other hand, kosher wine just doesn't cut it. The wine was terrible. DH was just down here, awakened by the full moon shining in through his bedroom window. It is as bright as a streetlight, you could read from the moon's light this morning. What a wonderful awakening, I didn't even mind the interruption for such a glorious sight. Current Location: Breakfast? or Not? That said, it is always good to remember and pray for those who are enslaved against their will, that they find happiness and freedom in their lives. 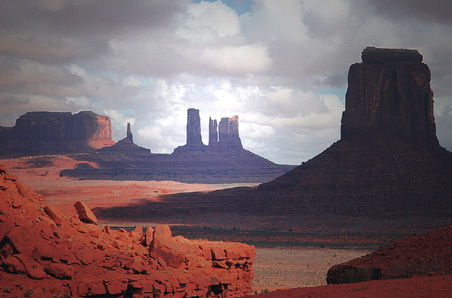 Ooooh, I'd enjoy "Navajo Cops". I hope it comes to regular cable soon. I love it. I only have basic cable, no National Geographic channel in my lineup, but it is a freebie on my On-Demand menu and we're really liking it. It's so good to be back at the rez, even if it is the less than desirable aspects of life there. It is as bright as a streetlight, you could read from the moon's light this morning. Oh, beautiful. I love nights/mornings like that.